Lately I've picked up a few inexpensive things or added them to my wishlist. 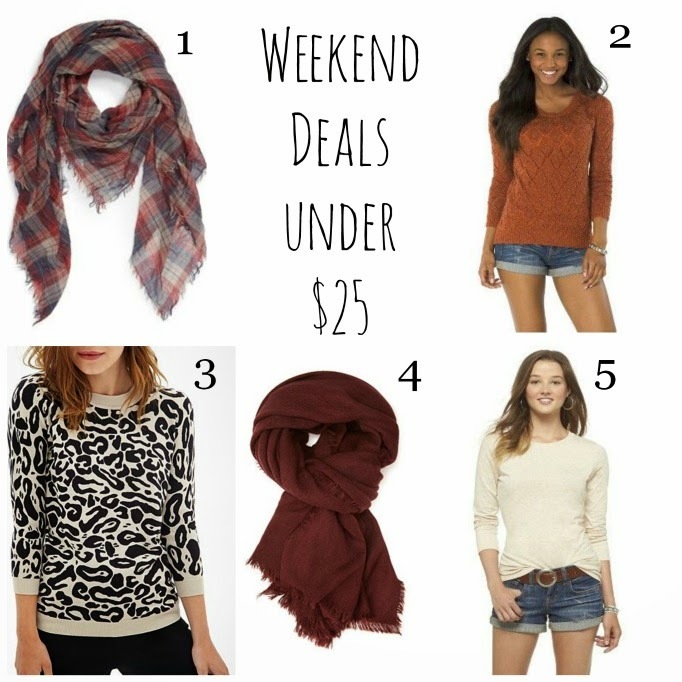 All of the above are only $25 and are great additions to your fall wardrobe. Also, these tees are my new go-to and are such a great price. Soren ordered these for me after hearing me complain about a lack of nice slippers. Working from home in the basement makes comfortable slippers a must! Also, if you are doing any shopping this weekend, here are a few of the fall sales going on. that leopard sweater is amazing! LOVING that scarf - and what an awesome price, wow!